The Chinese bakery. We all know the kind. 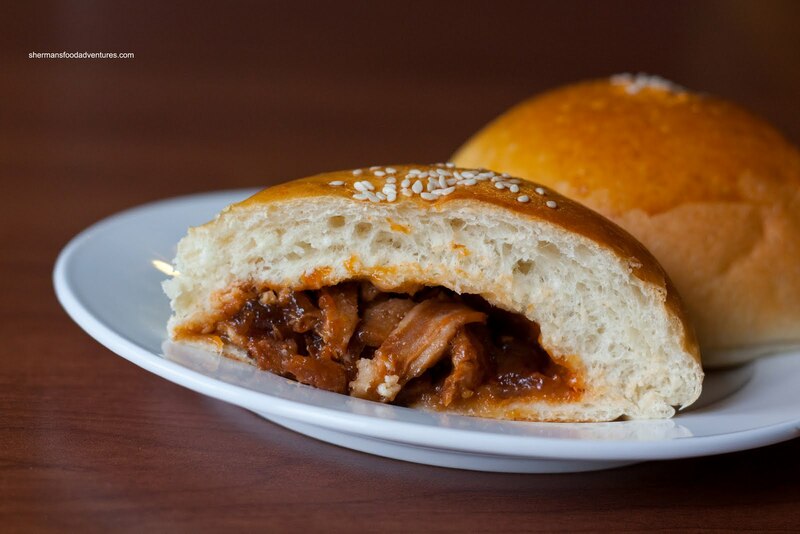 BBQ Pork Buns, Pineapple Buns, Cocktail Buns and Egg Tarts are some of the familiar items in the display cases. 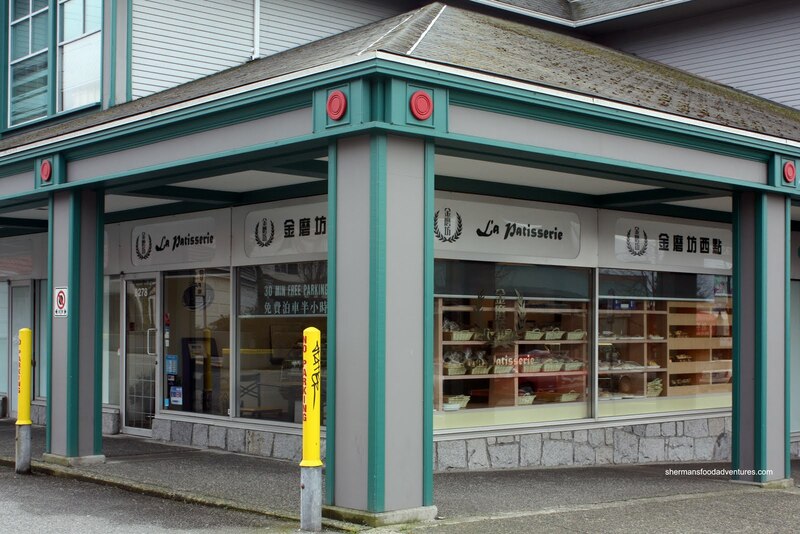 The hallmark of this type of bakery is that you can get a lot for very little. 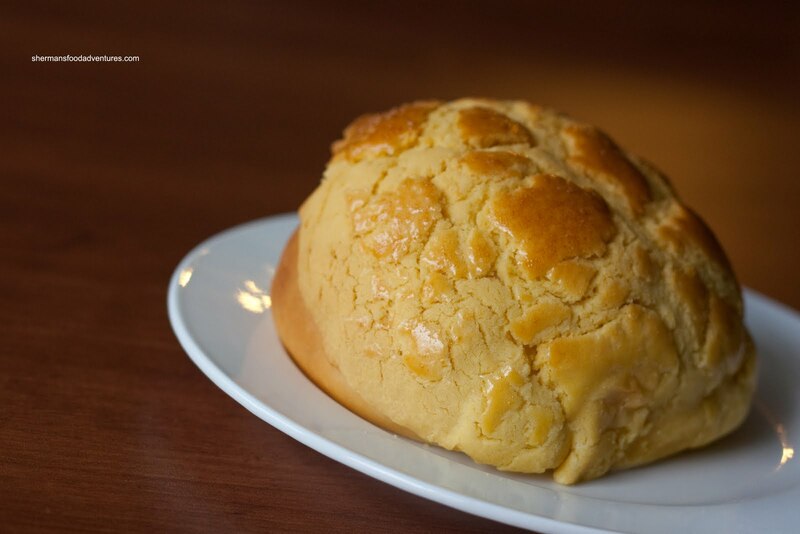 Consider that most bakeries and pastry shops charge a pretty penny for baked goods, the Chinese bakery is a bargain. However, as the years go by, there seems to be more and more "chic" Chinese bakeries. Yup. You remember those dingy bakeries with burnt baking pans? Well, there are some of those left such as New Town in Chinatown; but it is increasingly clear that people are beginning to tolerate higher prices. Hence, a place like St. Germain can exist. Or an ol' favourite such as Maxim can reinvent itself and charge more for smaller (not as good as before) buns. Of course this is all a lead in to La Patisserie. The name probably confuses more than it explains since it appears to be a French bakery in print. However, that is not even close. 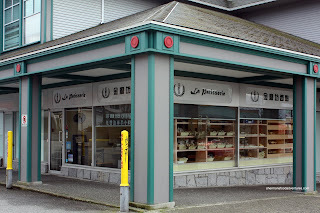 La Patisserie is your typical Chinese bakery with a few twists and a whole lot of high prices. If I weren't in the neighbourhood, I would've not even considered driving this far for pastries. After walking out of Red Star next door, I wandered into La Patisserie and immediately went into sticker-shock. Similarly, when looking over the prices at the MCL showroom, I was about to walk on out. But you know me and food... So I decided to pick up some items anyways. Starting with the BBQ Pork Bun, I immediately noticed that the bun itself was airy and soft. In fact, it required very little chewing. The filling had a nice rich colour while being balanced between savoury and sweet. Furthermore, the BBQ pork was only slightly fatty. Much of the same could be said about the Pineapple Bun. Employing the same airy and soft dough, the bun was predictably light. The "pineapple" topping had a nice crusty quality to it and it totally messed up the table (which is a good thing). Normally, when I do go for Chinese buns (that didn't come out right), I never get the Coconut Custard Bun. However, the one here looked enticing and I just had to try it. I promised to only eat half and share the other half with Viv. Ultimately, I ended up eating all to myself. Yes, I don't like to share my buns! The little pockets of custard hidden within the twisted bun was a surprise in each bite. 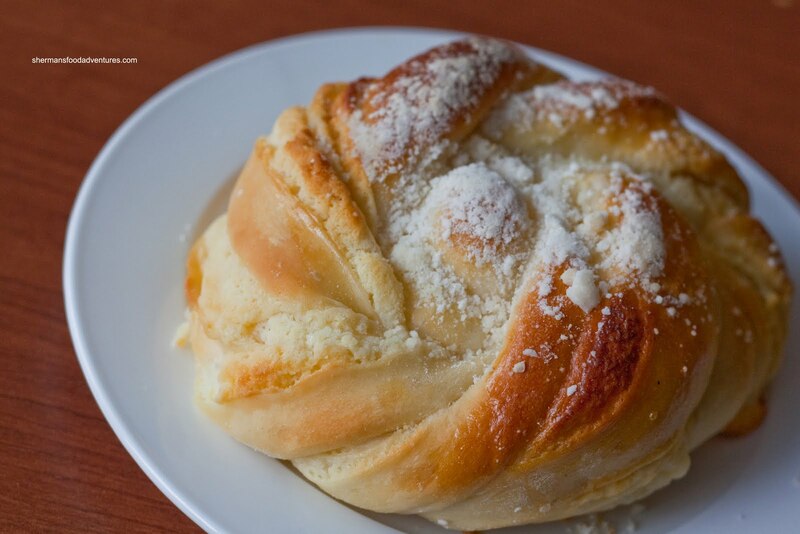 Nothing like a creamy surprise in a bun! Er... Yah... I really liked this one. 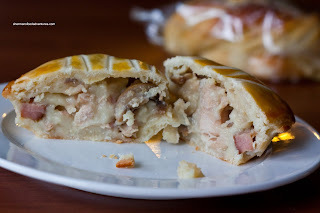 My daughter really loves "Gai Pai" or Chicken Pie, so I got it for her. Personally, I used to like it; but for some reason or another, I don't really eat it anymore. This particular one was jam-packed with chicken, ham and mushrooms in a thick sauce. Rather than a flaky crust, the Chinese version is sweet and dense. She seemed to like the pie. I am indifferent, it's just a chicken pie to me. 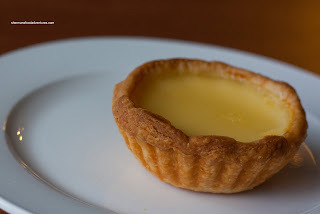 Another favourite with the kiddies is the Egg Tart. Despite its plain Jane appearance, these tarts were very good. The tart shell was extremely flaky, making a mess everywhere. It wasn't too thick, which allowed for a good amount of the silky semi-sweet filling. We ate this warm and it was evident care was put into making this. Lastly, I got another classic in the Curry Beef Pastry. 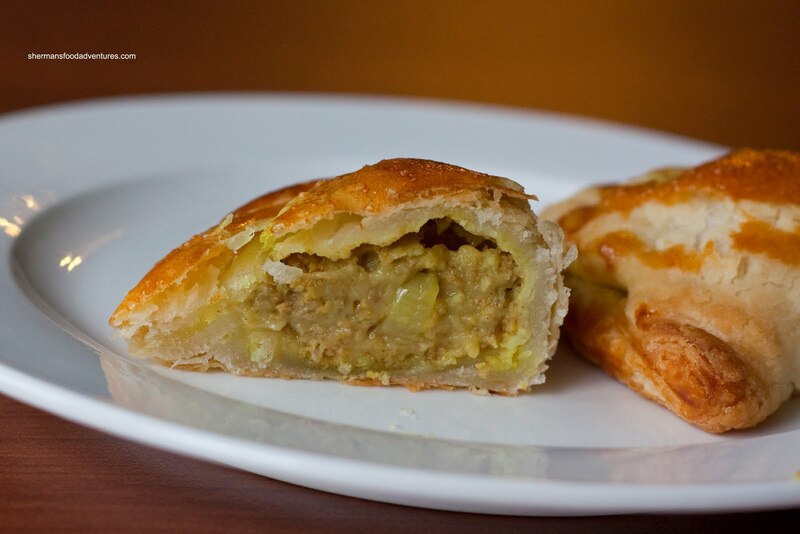 These consists of curried ground beef and onions encased in puff pastry. Looking like a pizza pop, these buttery treats were crispy on the outside with a good amount of mild curry beef on the inside. Another solid offering. However, all this "quality" came at a price. In fact, try over $20.00 worth. Seeing how I struggle to spend over $10.00 anywhere else for Chinese bakery items, this is very expensive. Sure, the pastries were made with care and were in fact really good. However, I guess it is truly up to the individual if they think the price tag is too high or worth it in the long run.